Being unable to sleep properly can be a miserable experience that has a big knock-on effect on the rest of your life. Here are some tips for beating insomnia without having to resort to sleeping pills. Going to bed at random times can play havoc with your sleep pattern so you may find it much more beneficial to adopt a set routine of going to bed at a set time and getting up at the same time each day, even at the weekend. Choose a time when you tend to feel tired so there’s less chance that you’ll be tossing and turning for hours after turning in. The melatonin hormone helps to regulate your sleep cycle but it can be easily disrupted by your lifestyle. You can boost your body’s melatonin levels during the day by increasing your exposure to natural light during the day by spending more time outside in daylight hours, letting as much natural light as possible into your home or even through a light therapy box for times when there isn’t so much natural light available. At night, you can increase your melatonin levels by avoiding television and computers before bedtime, avoiding backlit devices to read (e.g iPads), making sure that the room is dark when you go to sleep. Using the television or computer to ‘wind down’ before bed can be completely counter-productive as it negatively affects melatonin levels and can stimulate the brain rather than relax. If your bedroom is set up for sleep, there’s more chance that you’ll be able to drift off. For example, make sure that the temperature is right as you’ll often find it more difficult to sleep if the room is too hot or cold. Your bed is another factor – many people regularly wake up with aches and pains in the neck and back and this can be due to your mattress or pillows. You may find that changing these makes a lot of difference to your ability to get a good night’s sleep. Not eating big meals in the evening. Some people find that they struggle to sleep if they’re still eating a couple of hours before bed, especially with fatty foods as they take longer to be digested. Foods that are spicy or acidic can cause heartburn and indigestion, which can keep you up at night. On the other hand, don’t avoid eating if you’re hungry as this can also stop you from sleeping. If you feel the need to eat, a turkey sandwich or a banana may do the trick. Not drinking alcohol before bed. If you reach for something alcoholic in the hope that it will help you sleep, it could be hindering your ability to sleep properly. Some people find that it helps them to drop off more quickly but it can encourage you to wake up during the night and stop you from getting a full sleep. Limit your caffeine intake. Caffeine has a stimulating effect and can easily keep you awake at night, even many hours drinking it. If you drink lots of caffeine, it’s a good idea to cut back on your consumption if you’re struggling to get to sleep. Don’t drink too much in the evening. Drinking too much in the run-up to bed can mean that you need to use the bathroom more frequently during the night, especially if you’re drinking caffeine and/or alcohol. Do more exercise. Just 20-30 minutes of exercise per day can help you to sleep better. Reduce your stress levels. Stress and anxiety can impact on your ability to sleep. You may find it useful to do deep breathing exercises, muscle relaxation or visualization techniques to help you to relax enough to get to sleep. If you’re struggling to sleep properly, you may need to make some changes to your lifestyle and everyday routine to get back on track. For many people, this will be enough to break the cycle and get back into a regular sleeping pattern but if not, it’s worth seeing your doctor to check whether they are any underlying reasons for your sleep problems. People often forget how important is. 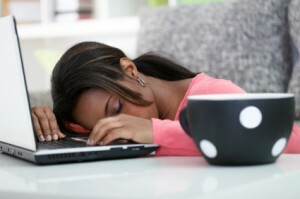 It is more than just feeling tired it can affect your health in many ways due to hormones produced during sleep. This includes two hormones that control hunger and calorie burning. Therefore, in fact sleeping can help with weight loss. Getting into a routine is what definitely helps me enjoy more and better sleep at night. Not using my computer of phone right before hopping into bed also makes me sleep much better, I’ve noticed. I try not to have too many liquids after dinner and try to sleep around the same time each night. I wish I didn’t need so much sleep, but alas it’s a human requirement. I usually don’t take naps, but every now and then I’ll treat myself to an afternoon nap on the weekends. They are fantastic!